By day, castles and palaces are reputable locations with histories and backgrounds that exceed our expectations of Baroque beauty, Gothic mysticism or rustic ruins. However, castles aren’t just locations for people to visit and admire in person. Movies and TV shows depend on their aesthetic to create a new world for a visual and worldly escape for their audience, using palaces and castles. to create an enchanting and mysterious environment. Alnwick Castle was opened in 1096 in Northumberland, England. Alnwick Castle has been in many TV shows and movies, most notably Robin Hood: Prince of Thieves 1991, Black Adder 1983-1989, and was notoriously used as Hogwarts School of Witchcraft and Wizardly in Harry Potter and the Philosophers Stone. The exterior is recognised as the grounds where Harry and his classmates learnt to ride their broomsticks and play Quidditch, exposing the multiple different uses for a castle within a film, and how to alter the environment of a castle to suit different different genres of TV and Film. Belvedere Castle in Central Park, New York, was built as a Victorian Folly in 1869 and was last renovated in 1983. To date, Belvedere Castle has been used as the Count von Count’s castle in Sesame Street since 1985-2017 and was used in the 2011 Smurfs movie, creating a mini Gothic effect. Being that of a small castle in the middle of central park, Belvedere Castle is a great location for animations and children’s shows, exposing itself as a mini-magical location enhanced by the chaotic setting of central park. Belvoir Castle in Leicestershire, England, was built in 1067, and after 2 destructions the castle that can be seen today was built between 1801 and 1832. With some CGI, Belvoir Castle can be identified as the exterior of Castel Gandolfo in The Da Vinci Code 2006. Catherine Palace, just outside of St Petersburg, Russia, originated in 1717-1796 and was reconstructed after its intentional destruction in World War II and to this day is still in the works. 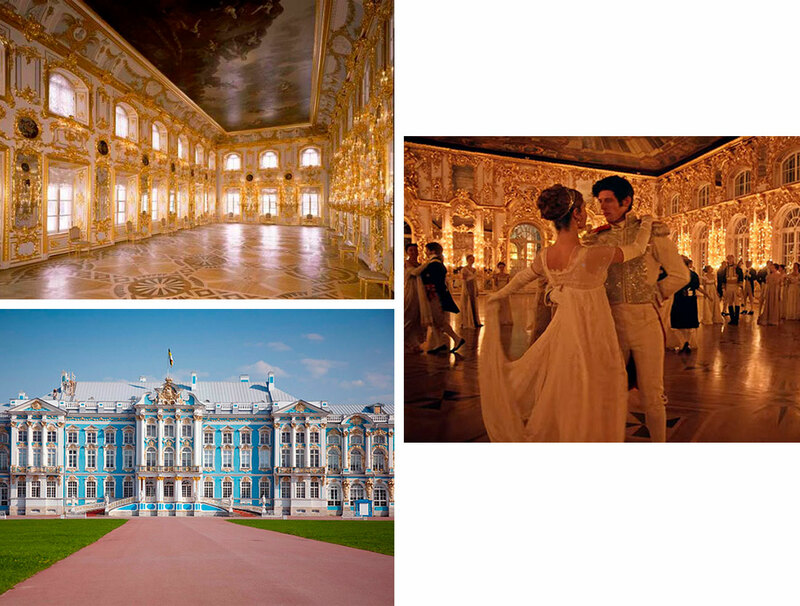 The BBC’s War and Peace series, 2016, filmed the Tsar’s Ball Dance Scene in the palace where the lavish interior was used to display wealth and beauty in the show. Behind the doors of this exceptionally enchanting Palace, the bountiful interior embellished with gold becomes exposed to the nature of the film industry, being used to depict authenticity and grandeur. Château de Chambord, Chambord France, started construction in 1519 and was completed by 1547. 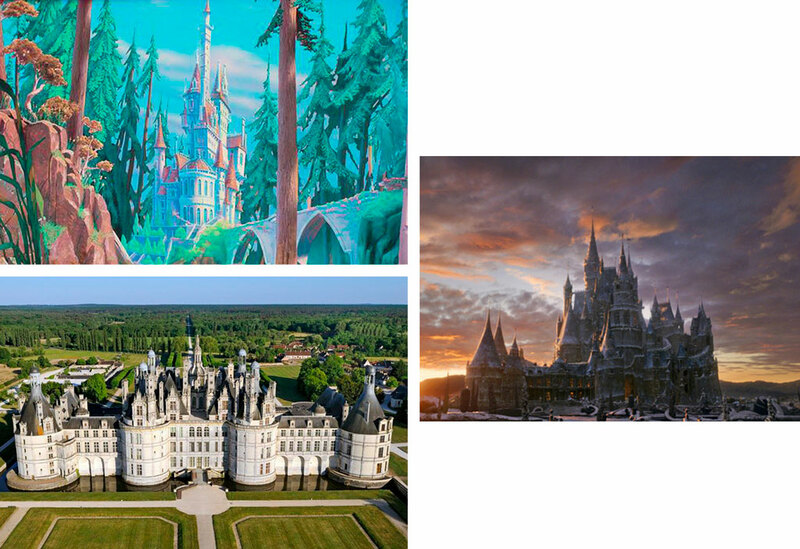 Although more of a manor then a castle, the French Renaissance Architecture was the perfect inspiration for the Beasts Castle in both the animated Beauty and the Beast, 1991, and the Live Action Beauty and The Beast, 2017. Château de Chambord exudes sophistication and elegance but has an eerie sense, exposing the perfect inspiration for a Disney dream castle. Dundurn Castle, Hamilton, Ontario Canada was completed in 1835 and is considered a neoclassical mansion. The acclaimed Crimson Peak, 2015, film used the exterior and gardens to add effect to the eerie strolls and created a stunning setting that enhanced the mood of the film to be beautifully creepy. The exposure of the castle in the film may be small but its effective, adding to the chilling air of the scenes that it is in. Eilean Donan Castle, Dornie, Scotland, was built in the 12th/13th century up until 1932. The castle has been a featured in multiple films, most notably James Bond- the World Is Not Enough, 1999, serving as MI6’s Headquarters, where Desmond Llewellyn played Q for the last time, showing Pierce Brosnan new gadgets for later on in the film. The castle defines the secrecy of MI6 in the film and adds to the effect of the inconspicuous secret service in which the film centres around. Hellbrunn Palace, Salzburg Austria was built between 1613-19 and is now considered a Baroque Villa. Through the doors of the Castle and out the back doors is a mystical garden where a beautiful glass gazebo lies. 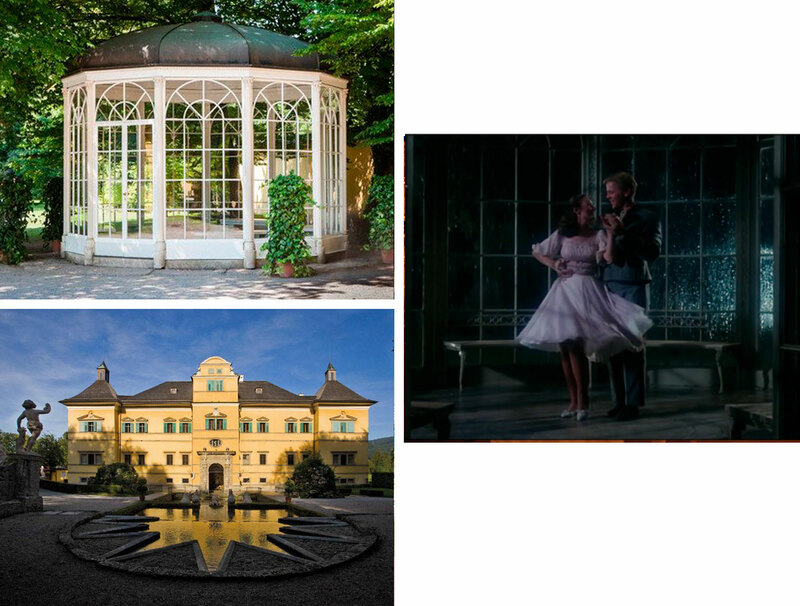 The Sound of Music, 1965, used Hellbrunn Palace’s beautiful glass gazebo as the background setting for the renowned Sixteen Going on Seventeen. The song and the scene is romantic, elegant and sophisticated which is further enhanced by the castles gazebo. Lovrijenac Fortress, Dubrovnik, Croatia has a lot of history and is important in the resistance of the Venetian Rule. Game of Thrones, 2011-present, features Lovrijenac Fortress it can be recognised as the Red Keep in Kings Landing, the capital of the Seven Kingdoms. Filming at the Fortress proves to be very effective in Game of Thrones, establishing a setting that’s reminiscent of a medieval environment. Palace of Versailles, Versailles, France began in the 11th century and finished building in 1715. Many films have had scenes based in the Palace of Versailles but Sofia Coppola’s Marie Antoinette, 2006, filmed the majority of the palace scenes there, even being allowed to film in the off-limits room of Marie Antoinette. 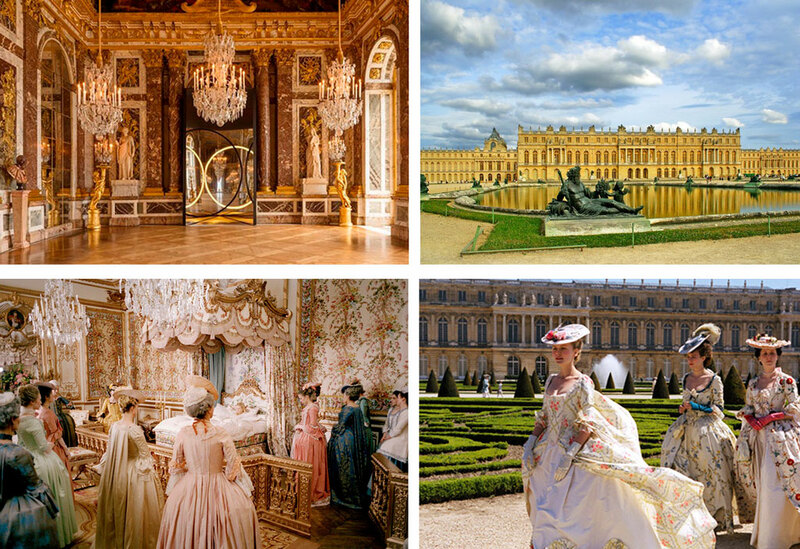 The Palace of Versailles was completely exposed inside and out for the film to create a sense of authenticity as well as enhancing the stunning aesthetic of the film. The Alcazar of Seville, Seville, Spain is the oldest royal palace still in use in Europe. It was expanded into a palace in the 14th century. 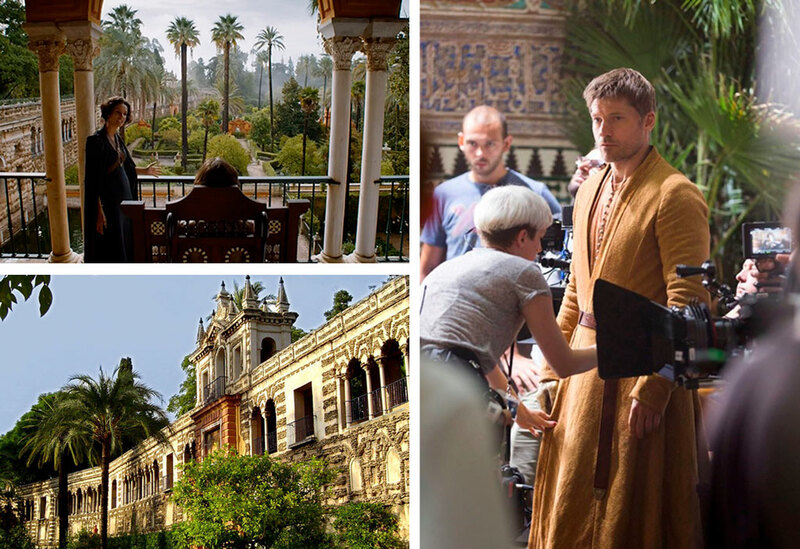 The Palace is used as the central location for the filming of the city of Sunspear in Game of Thrones, 2011-present, to create a warm and exotic environment for the show. The Alcazar of Seville provides a setting that contrasts to the rest of the show, exploring a surrounding thats open and natural, creating authenticity within the show.